Watch the Colts LIVE tonight at Marshall Academy! 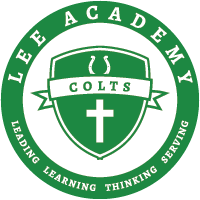 Lee Academy Colts football will be streaming live video and audio on wroxradio.com tonight at 7 pm vs. Marshall Academy. Or Tune in to WROX radio AM 1450 from 7:00 - approximately 8:00 pm or until the CHS game starts.